Bananas are a great source of potassium with an average banana consisting of 422mg which is 12 percent of your daily intake. There are also one of the best fruits for providing energy to the body as it is easily digested and makes a great pre workout snack. 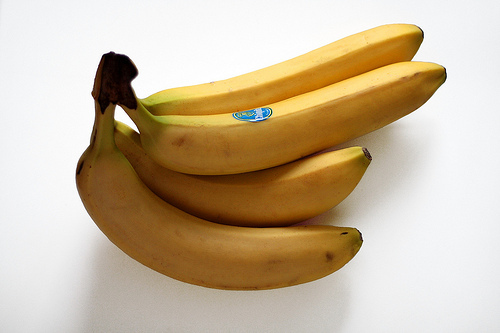 A normal sized banana has around 100 calories making it good for people who are looking to lose weight but be careful not to eat too many as this is quite high for a fruit. There are also a lot of other health benefits associated with eating bananas such as soothing stomach ulcers and keeping your kidneys healthy. 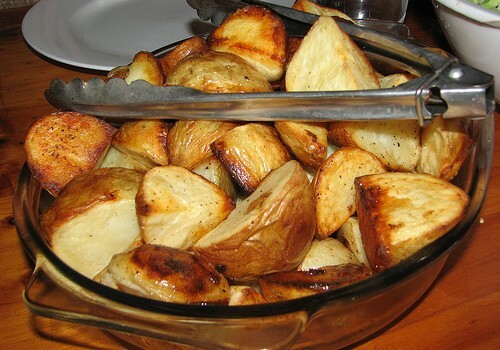 Baked potatoes can be eaten for lunch or dinner but are high in carbohydrates so need to be eaten in moderation especially if you are diabetic. The potassium content of a baked potato with the skin 926mg which is about 26 percent of your daily value. Most people tend to eat just the potato but the main dietary benefits come from the skin itself, potassium is essential to maintain the electrolytes in the body and keep your digestion healthy and regular. Eating potato skins on their own also have a high potassium value but they need to be prepared via baking and not deep frying as this adds calories. 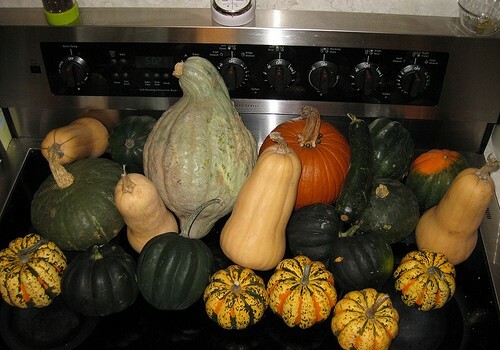 Winter squash in particular can be added to your diet to boost your potassium intake. One cup of winter squash has 896mg of potassium, it can be added to a meal as a vegetable side or cooked up in a soup to make a hearty meal. There are many different varieties of squash that can be cooked to add to meals but be aware not to eat too much as a high potassium level can cause irregular heart beat and tingling in the body. Its good to get enough potassium into the body to help lower blood pressure and keep the heart healthy. 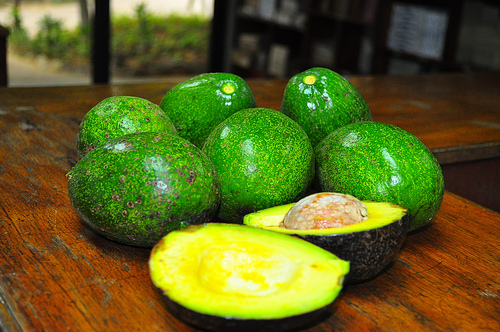 An average sized avocado has approximately 975mg of potassium within it and a 100g portion containing 485mg. Avocado's are easy to add to your diet as they go great in sandwiches or wraps as well as a great addition to a green salad for lunch or dinner. They have many other benefits such as containing oils that are important for bodily functions which are an essential part of your daily diet. However they have a high calorie content with each avocado having around 320 calories per fruit so its important to limit the amount you eat and just adding a quarter to your meal is sufficient. 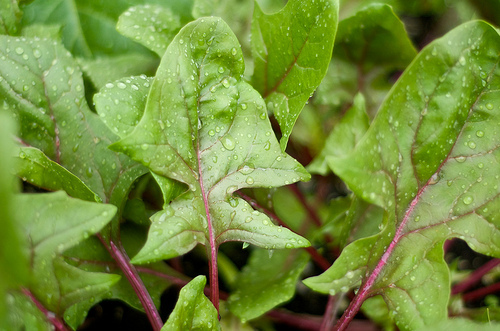 Beet greens are found on the leafy green part of the beetroot plant. 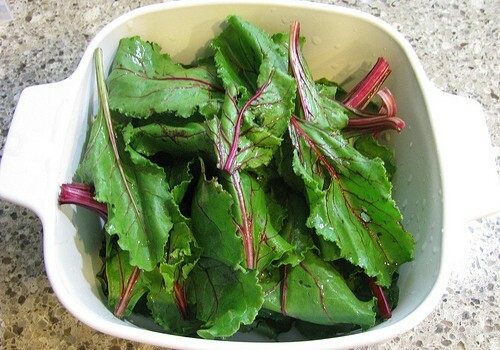 They are an excellent source of potassium with half a cup of the greens having about 655mg of potassium. They are also a great source of vitamin A and K which are needed to keep the body healthy. You can add beet greens to your salads or sandwiches to boost your potassium and it can even be grown at home to make it truly organic. Beet greens also contain beta carotene which is an antioxidant that has been associated with preventing cancer and boosting the immune system. 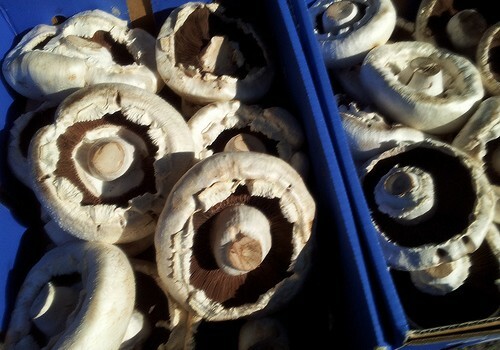 There are a huge range of mushrooms out on the market but the most common are the white mushroom. These look relatively boring but are packed full of nutrition. They are jam packed with phosphorous and copper for keeping the bones and tissues healthy and to keep the inorganic processes functioning smoothly. They can be eater raw or cooked in a varity of meals and can be added to just about any recipe. A serving of 4-5 mushrooms have 18 calories and 300mg of potassium along with vitamins B and D which are essential for energy and keeping the skin youthful. A portion of 100g of dates contains 696mg of potassium which is around 20 percent of the daily value. 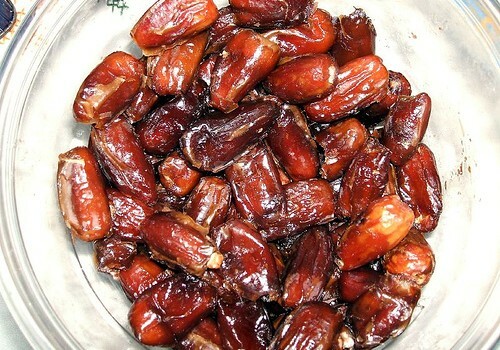 Dates usually contain a stone and are often sold pitted so it makes them easier to eat, they make a good snack or can usually be put with desserts as they are sweet. 100g of dates has about 282 calories and only 0.39g of fat which is close to one percent of your daily intake so they are great on a low calorie/fat diet. They are also a great source of magnesium which is another essential mineral that the body requires. 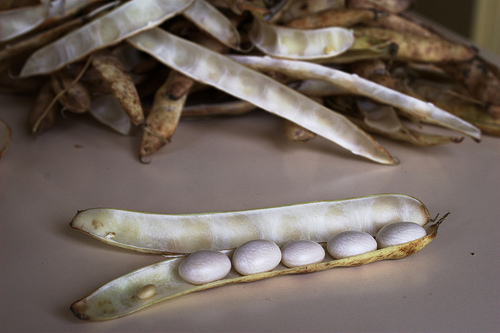 A serving of white bean seeds of 100 grams contains 561mg of potassium which is about 16% of your daily amount. They also have a high water content of 63 percent so are a very filling addition to many meals to help with weight loss. They also contain Vitamin E and Thiamin to help with bodily functions. White beans can be added to salads or soups to increase the calorie content as 100g contains 139 calories or even cooked in stews or casseroles. They are also high in fiber which is essential for keeping the digestive system healthy containing 25% of your daily fiber needs. 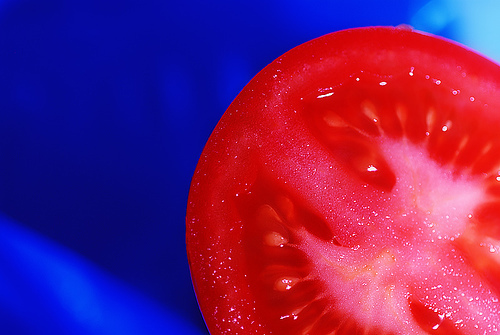 The tomato is a common fruit used in many main meals from salads to pasta dishes. It is a staple in many peoples diet without even thinking about it and a regular medium sized tomato has 292mg of potassium. They have a low calorie content with each medium tomato containing 22 calories and 0.2g of fat. They contain 20 percent of your vitamin A and 28 percent of your daily vitamin C which are essential to keep your immune system healthy. They can be eaten raw chopped up in salads or cherry tomatoes can be eaten as a snack; cooked tomatoes are used in many pasta dishes. Spinach is often referred to as super food as it has many health benefits and is very nutritous. its a great addition to a salad or can be steamed an added to meat and potatoes in an evening hot meal, I also like to combine it with white rice. One cup of spinach (30mg) contains 167mg of potassium and only contains 7 calories making it a fantastic filler for people who are trying to lose weight. It is a fantastic source of vitamin A with a 30g portion containing 56 percent of your daily required intake so simply adding it to a salad has many health benefits.